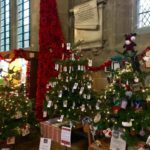 With the arrival of the Victorian Evening, the Christmas Tree Festival in St. Mary’s Church is open, with trees decorated by local organisations on show against a backdrop of the 62,000 hand-made ‘Warwick Poppies’. 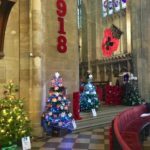 Both displays can be viewed every day between 10am and 4pm (except during services) until December 9th, when the trees will go to new homes and the poppies will make way for the festive Christmas season at St. Mary’s. 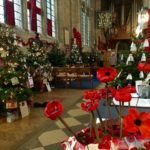 Already thousands of people have been to see the poppy display since it opened in October. 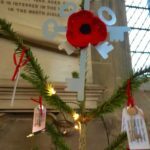 Unlocking Warwick’s Christmas Tree is Number 3 as you walk round the church. 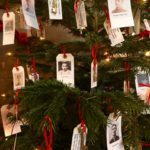 It reflects our special project for 2018 – the centenary year of the end of WW1- finding the stories behind the 358 names on the Warwick War Memorial and posting them on this website. 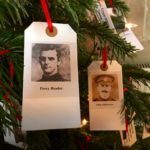 The names and pictures of The Fallen from Warwick are hung on the tree with keys, representing our mission to unlock Warwick’s history and heritage and present it in community projects. 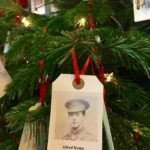 It was appropriate this year to complement the poppy display by unlocking the stories of the local men (and one women) who gave their lives in The Great War. 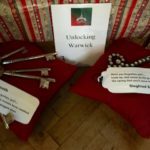 Here is a picture gallery. 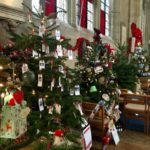 Click on each photo to see it full size. 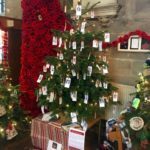 If you decide to vote for your favourite tree you will be entered into a prize draw. 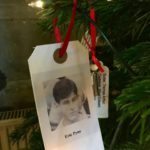 Clearly you will want to vote for Tree Number 3 ! 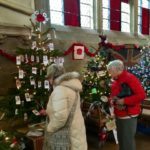 Visitors to the Christmas Tree Festival are asked to contribute £1 (children free).